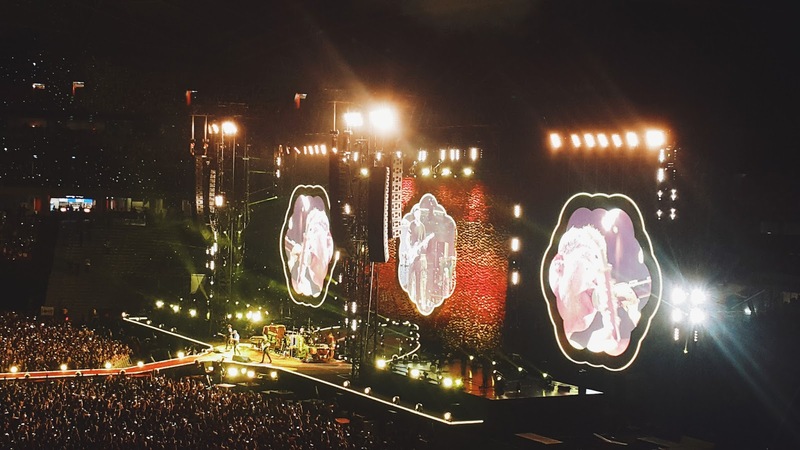 Man, if I had any regrets when I attended Coldplay's A Head Full of Dreams tour in Singapore, it was that I wish I'd brought my camera with me to the venue. Hahaha. I chickened out the last minute because I'm not really sure how strict they will be in SG when it comes to mirrorless cameras during concerts and I didn't want to go through the whole ordeal of picking up a confiscated camera after the event because there's thousands of people there. But of course, I was mistaken because I saw a lot of people who brought their Fujifilm cameras with them. 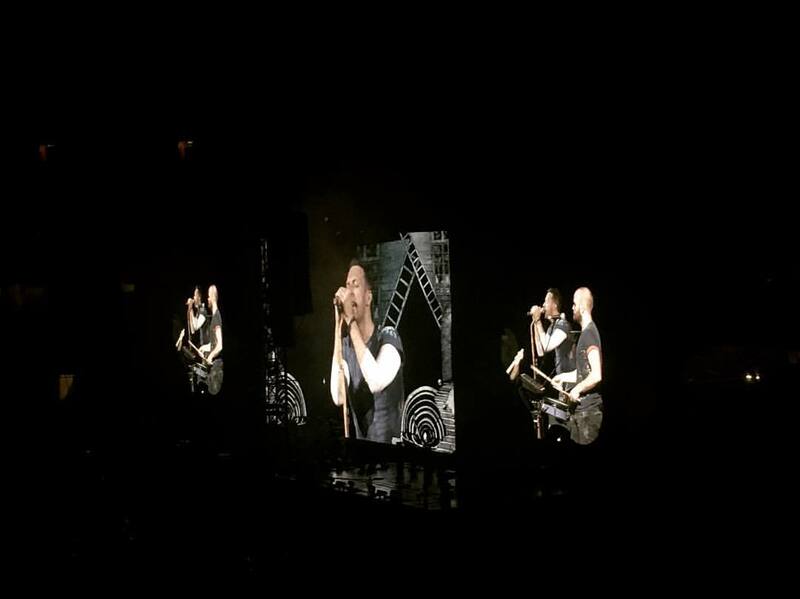 I think the only silver lining was that I was not as obsessed with taking photos so I was able to really enjoy the Coldplay experience. I'm gonna share a few clips I was able to take and photos of us friends having the time of our lives. Hahaha. 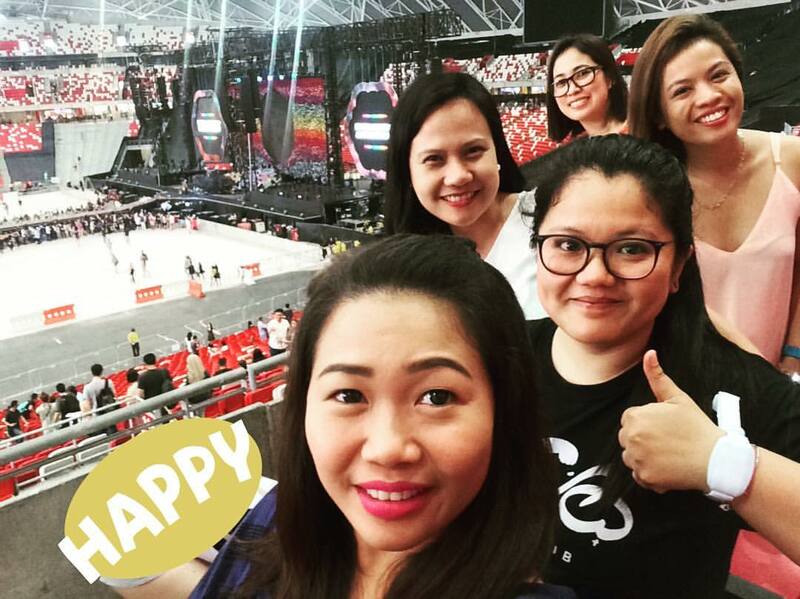 It was my first out of the country with a couple of my closest college friends and was even extra special because we're attending Coldplay's concert. 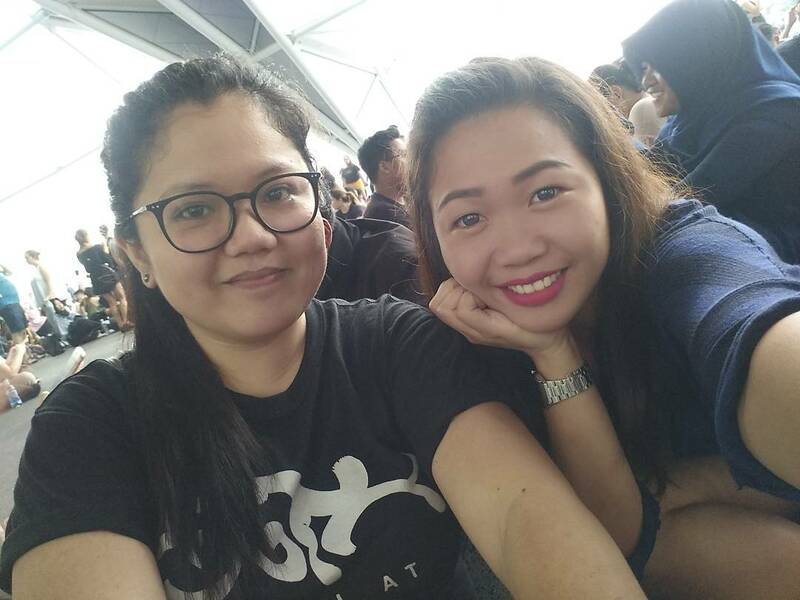 We honestly thought we'd never get tickets because we got wind of how fast they sold out in the Philippines, but luckily, Roch, who's based in Singapore, was able to score 4 when she attempted to purchase online. Hallelujah! We then prayed for airline ticket seat sales so we can make this trip as economical as we can. LOL. We got Coldplay tickets last November, was able to book flights after a month and fast forward to the end of March, we're seeing Coldplay in the flesh! Just a disclaimer if you happen to stumble upon my blog and you're looking for photos: no fancy pictures will be seen, I'm just putting up all the vids I had purely for the experience's documentation. Haha. Here's a cute photo of Quich and I waiting for gates to open. We're already there ~4 hours before the start of the concert because we thought the lines would be crazy long but nope, we were first in line actually! It rained so hard that afternoon, it was a good thing we left early. We also planned to cop Coldplay's official tour shirts but it was hella expensive! Here's an even cuter picture of us after we got to our seats and just waiting for the concert to start and basking all the happiness in. Hahaha. Everglow. The lights, the lights! It was so surreal and amazing. Nakakaiyak. It was indeed a goosebumps moment. You can hear us chattering a little bit at the latter part of the song. The Scientist. I think I kinda lost it here. I think I may have shed a tear or two. I mean, hearing The Scientist live? It was magical. I can't help but sing along, and my apologies for my awful voice. Hahaha. I've already trimmed this so that there'd be minimum amount of me in there. Up and Up. This was the last song for the night. To be honest, I haven't listened to Coldplay's lastest albums until about 4 months or so before the concert. I was stuck at their first three albums: Parachutes, A Rush of Blood to the Head and X&Y albums. Time really flies so damn fast when you're having fun. Months and months of waiting and the night finally came to an end. There may have been not much pictures, but I will carry this with me wherever. It's now the light that will never go out within me, as that The Smiths song goes. Now, whenever I hear anything from Coldplay, it will never be the same. So incredibly moved to have participated in this beautiful night. I have no words. The lights, the crowd, the energy, all have been so much more than I anticipated. I teared up to this song as well as Fix You and Up and Up. I have tons of other videos but I've limited to posting this one because we need no more proof that I am tone deaf. Hahaha. TBH, I couldn't say I am their biggest fan, but their songs from Parachutes, A Rush of Blood to the Head, and X&Y eras have been a big part of my life. To be surrounded by my closest friends while hearing this song performed live in foreign land has got to be one of the highlights of my 2017. This night has been incredibly amazing. Eternally grateful to those who have made this possible, you know who you guys are. I call it magic. Yes, I do.